Intel engineers are slaves to Moore's Law: they have to keep packing more power into the same-size microchips. They've done it again with a new alloy that cuts down on electricity leakage, which is a big problem as transistors get smaller. 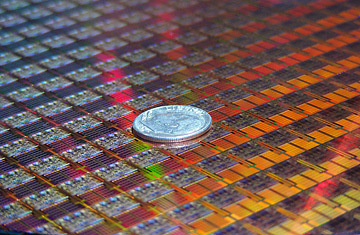 The new 45-nanometer Core processor is so compact, you could fit 2 million of its transistors on the period at the end of this sentence.